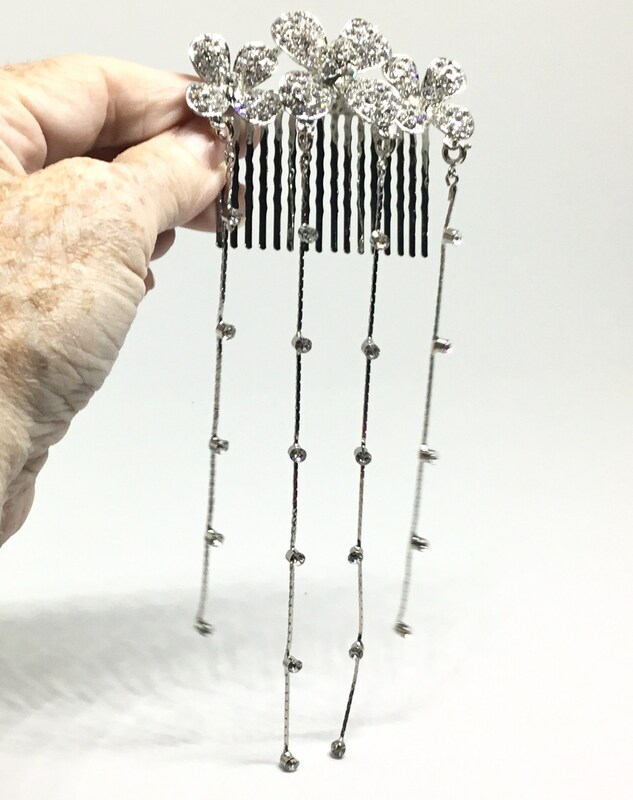 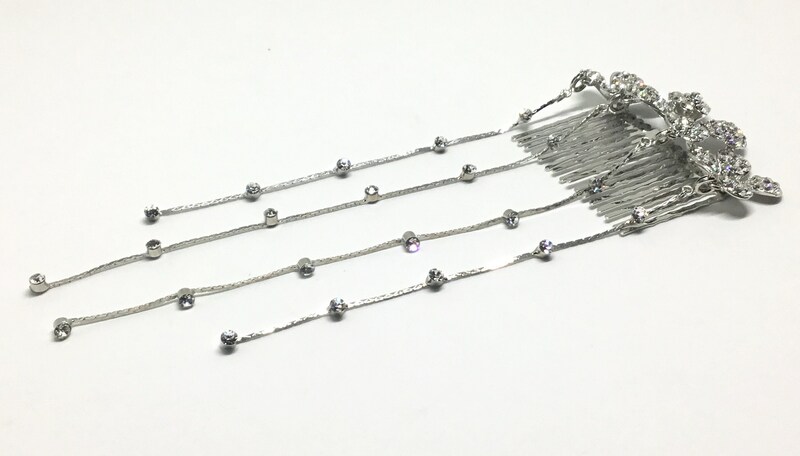 This is a vintage inspired newer silvertone hair comb. 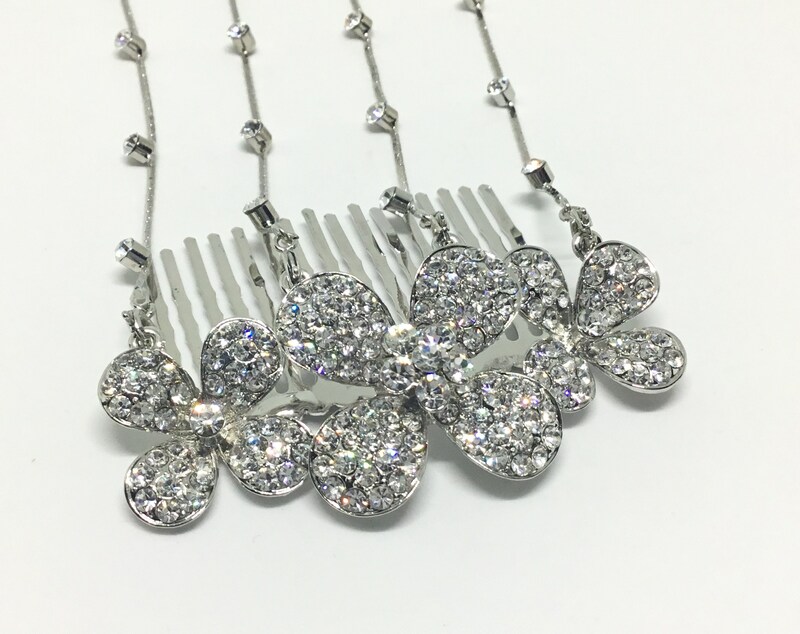 It is super sparkly and is fabulously detailed with clear rhinestone encrusted flowers. 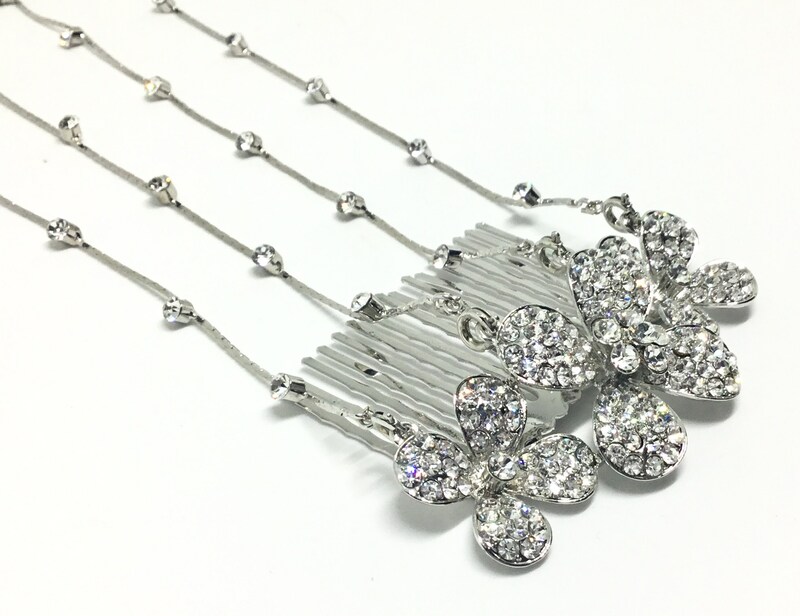 There is a large center flower with a smaller flower on each side. 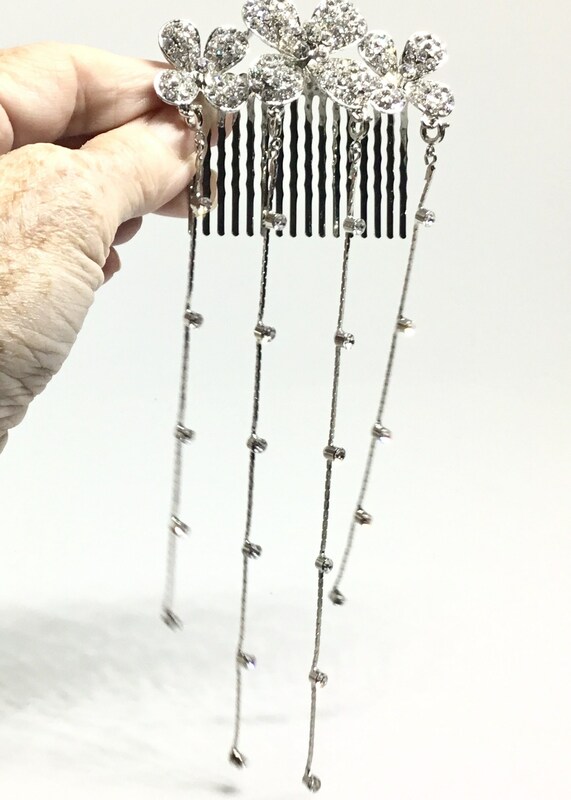 It is not flat and has great dimension. 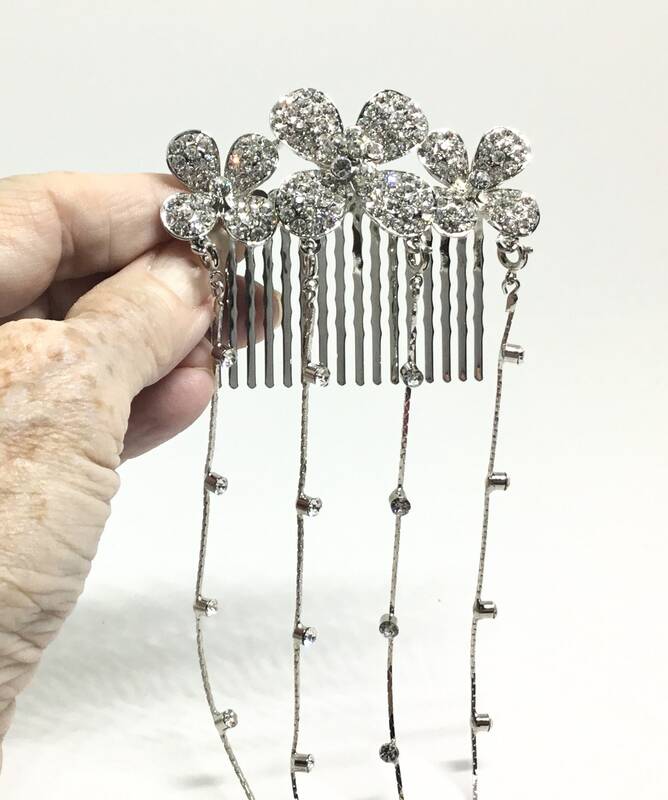 The comb measures 2 3/4” x 2 1/8” and the longest dangles are 6”. 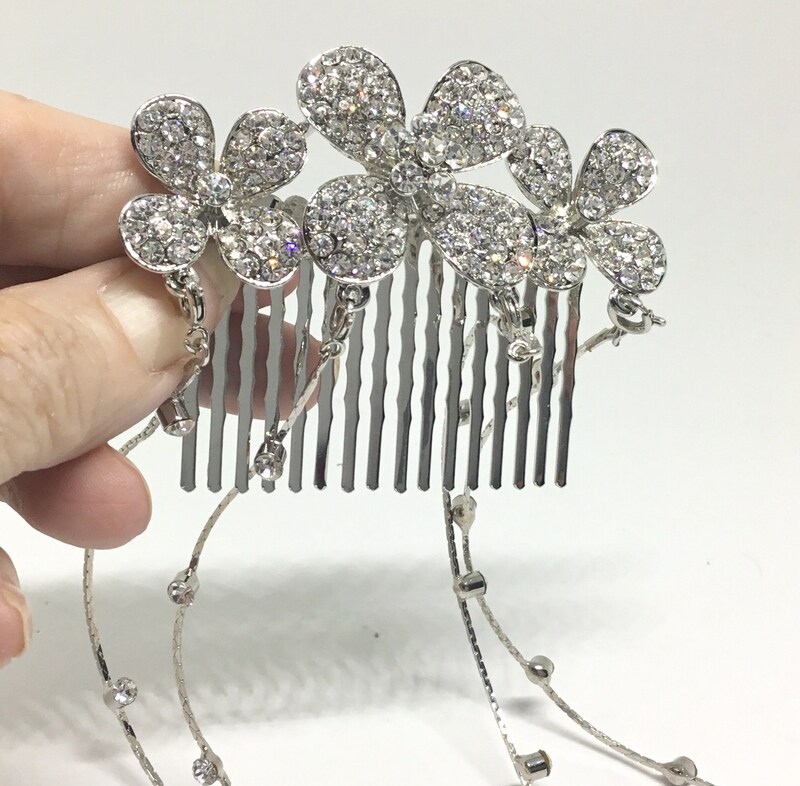 It would be wonderful as a hair accent plain or along with some real flowers, in a brooch bouquet, or in a DIY project needing lots of blitz and glam.